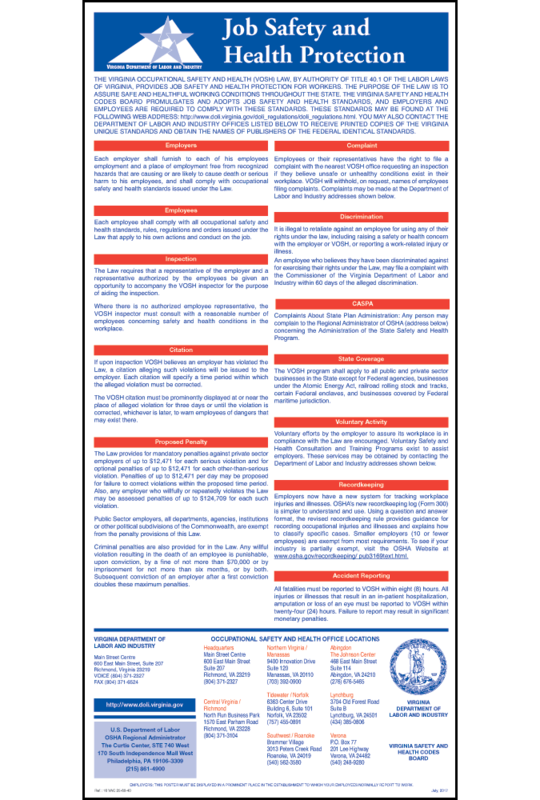 Virginia Job Safety and Health Protection notice updated for new VOSH regulations! Available on the Virginia All-On-One™ Labor Law Poster or as a cost-effective Peel ‘N Post™ update sticker! The Virginia Job Safety and Health Protection notice has been updated to reflect new regulations which extend the penalty provisions of the Virginia Occupational Safety and Health (VOSH) law to include public sector employers. State and local governments in Virginia were previously exempt from the requirement to pay civil penalties for violations of the VOSH law. These employers will now be subject to civil penalties for willful, repeat, and failure-to-abate violations, as well as fatal or “high-risk” serious violations, related to VOSH inspections opened on or after December 1, 2018. The Virginia Job Safety and Health Protection notice now states that public sector employers, including all departments, agencies, institutions or other political subdivisions of the Commonwealth are subject to the penalty provisions of 16 VAC 25-60-260. The revision date on the notice has been changed to January 2019. 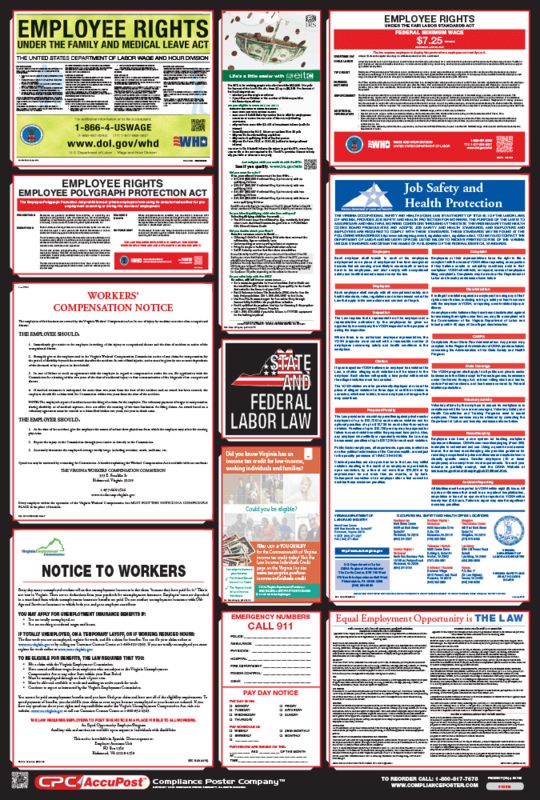 Every employer is required to post the Job Safety and Health Protection notice in a conspicuous place where notices to employees are usually posted. (16 VAC 25-60-40) “Employer” means any person or entity engaged in business who has employees in Virginia, but does not include the United States.